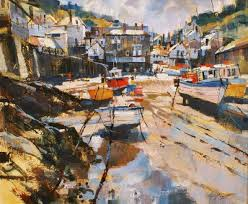 Chris Forsey began his art career as an illustrator in a publisher's studio after studying art and graphics in Bristol. 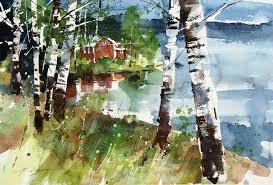 He is a self taught watercolour painter, constantly trying to extend and add to his skills in water-based media. 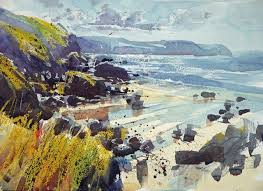 He has exhibited on numerous occasions with the Royal Watercolour Society and the Royal Institute of Painters in Watercolour. 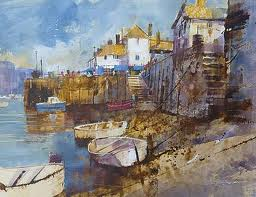 He is a tutor of painting and runs his own watercolour classes in Surrey and Sussex and in the Greek Islands. 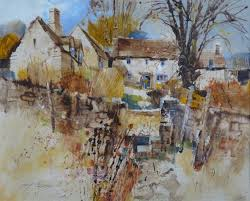 He also give lively and informative demonstraitons to art societies and groups thoughout South East England and is delighted to undertake commisssions of landscape subjects and house portraits. 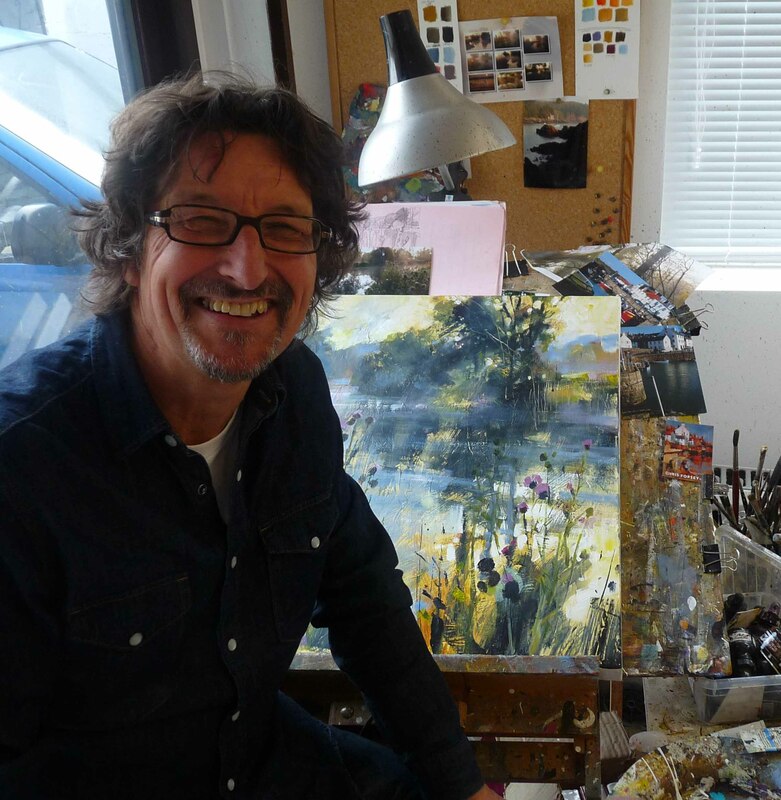 He endeavours to re-appraise his style and technique on a regular basis and this has led him towards a mixed-media approach to his work, combining watercolour, acrylic, pastel and gouache. He is exhilarated by colour and surface and enjoys creating textured layers of dry-brushed colour that allow hints of complementary hue to glow through, thus creating an exciting surface of scattered, broken colour. 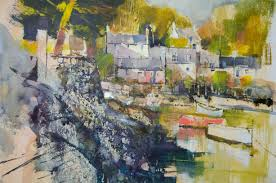 He specialises in landscape subjects, exploring the themes of man-made alongside the organic: buildings by water; structure emerging from a rocky cliff, sometimes with figures contributing to this theme, inhabiting the middle ground between buidings and the wildness of nature. 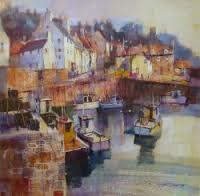 He is inspired by downland, coastal scenes of the UK and the Mediternean, cafe life and townscapes. 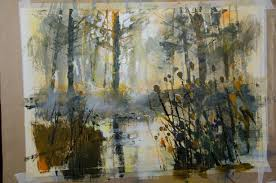 He tries to capture the sense of a place at a specific moment, season or time of day, always endeavouring to bring passion and immediacy to his work. 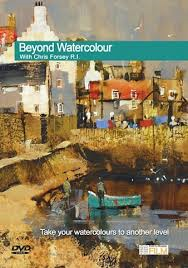 Chris was awarded the prestigious F DONALD BLAKE AWARD for a contemporary watercolour by the LINCOLN JOYCE gallery in 2006 at the RI spring exhibition and also THE MATT BRUCE MEMORIAL AWARD for light and colour at the 2007 RI exhibition.